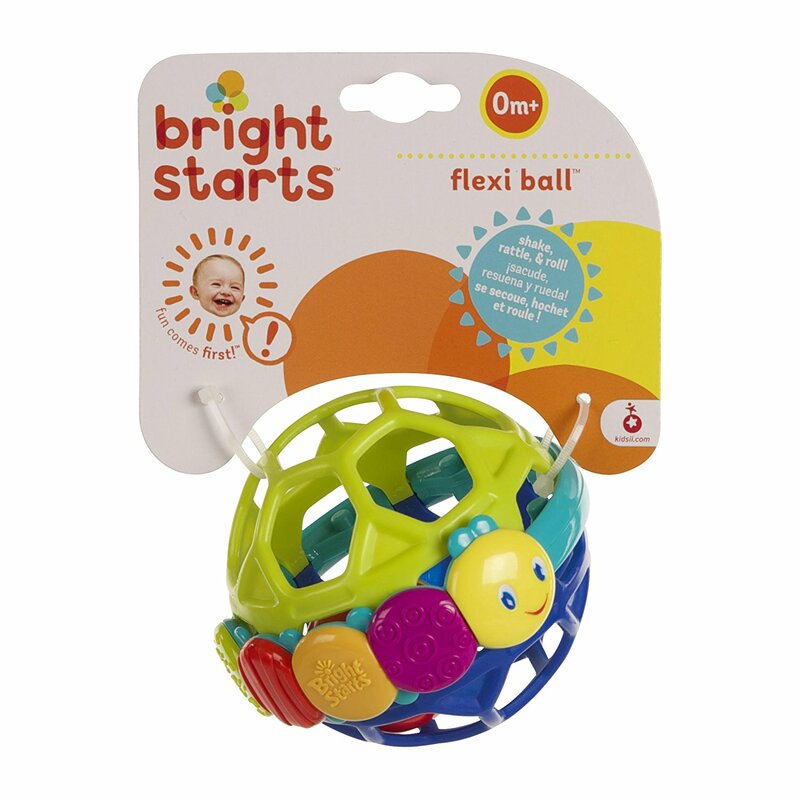 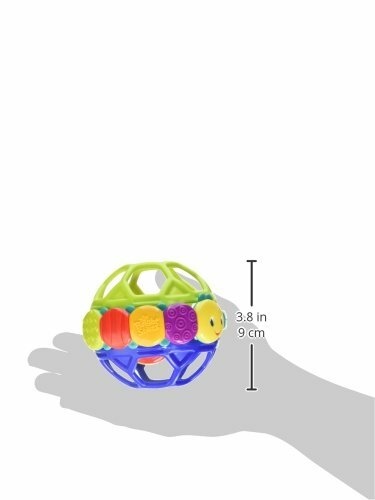 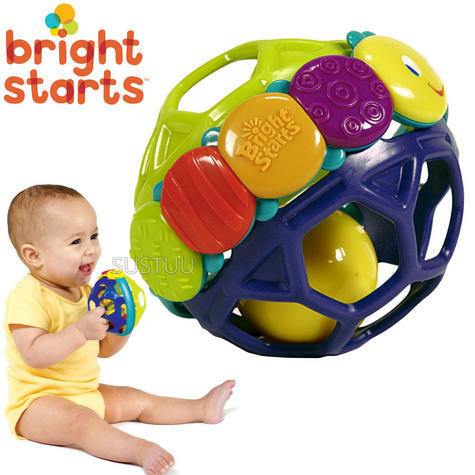 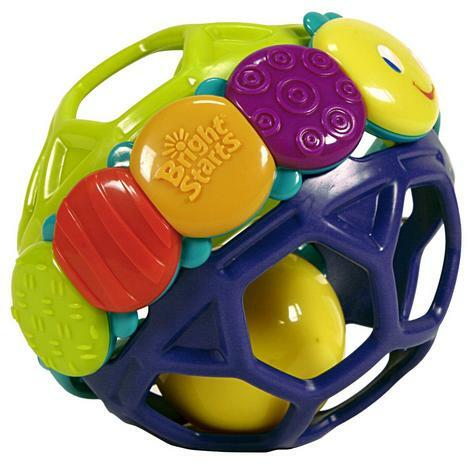 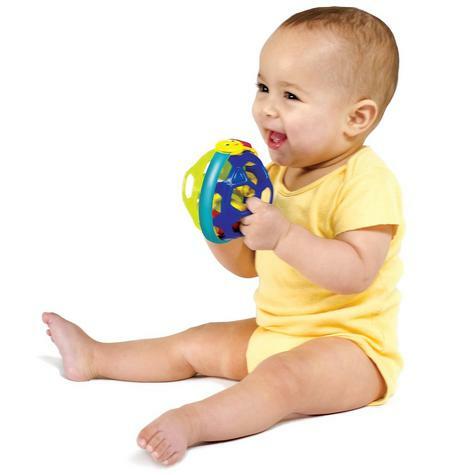 The Bright Starts Flexi Ball is a brightly coloured ball that is easy to grasp and roll. The soft, flexible plastic makes this ball fun and easy for little fingers to bend and squeeze. 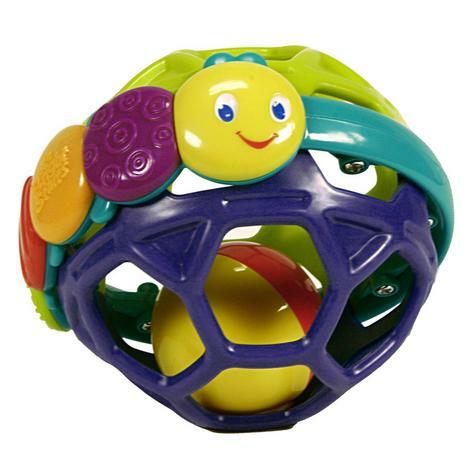 The caterpillar character has multiple textures and colours and there is a rolling ball inside that makes a fun sound.